Sometimes, I’m tempted to give up when I can’t see progress. In ministry, it’s disheartening when someone who once followed Jesus wholeheartedly, has abandoned those ways, choosing to chase the world instead. Especially after you’ve invested time and energy into that relationship. remembering that what I can see isn’t the whole story. 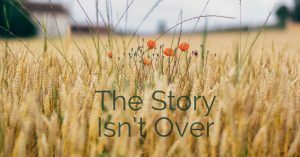 Jesus tells the story of a farmer who sowed wheat in his field. In the night, an enemy came and contaminated the field with weeds. As they both grew, it became apparent there were both weeds and wheat in the field so the servants asked the farmer if they should pull the weeds. The farmer told them to let both grow together. At harvest, the reapers would bind and burn the weeds, while storing the wheat safely in the barn. Unlike most parables, we get the benefit of Jesus’ interpretation of this one. Since He took the time to give its meaning, we should listen closely! and the good seed – these are the children of the kingdom. The weeds are the children of the evil one, and the enemy who sowed them is the devil. The harvest is the end of the age and the harvesters are angels. Therefore, just as the weeds are gathered and burned in the fire, so it will be at the end of the age. The Son of Man will send out his angels, and they will gather from his kingdom all who cause sin and those guilty of lawlessness. They will throw them into the blazing furnace where there will be weeping and gnashing of teeth. Then the righteous will shine like the sun in their Father’s kingdom. God is the one responsible for planting the seed. He alone is responsible for salvation and already knows the eternally fate of every person He created. Regardless of our desire to see the ones we love and serve begin a relationship with Jesus, we do not have the power to save them. Certainly, we have a responsibility to share the gospel and pray for them. Remain faithfully obedient in that task, no matter how long it takes! But only Jesus has the power to save. Evil exists in this world. God has allowed Satan certain liberties on earth for a time, and the Enemy has not wasted his opportunities to sow weeds of Death and Destruction. In the book of Job, Satan, intent on stealing, killing and destroying (John 10:10), is busying himself with God and His people. After a time of roaming the earth, Satan appears before the Lord, which makes it clear that he answers to God’s authority, not the other way around. He concluded by saying that, without all the blessings from God, Job would not be a faithful follower. God then gives Satan permission to do whatever he desires with Job’s possessions, but not to touch Job himself. Nothing can come into our lives that hasn’t passed through the loving thought of our Heavenly Father. but we are not abandoned by our Heavenly Father! We also must remember our Savior is not immune to our suffering. Hebrews 4:15, teaches that Jesus knows and understands our pain for He was tempted and tried in every way as we are. Because He has experienced our suffering, He invites us to come boldly to Him in our need! I have a friend with a challenging parenting situation. She and her husband have made some tough decisions concerning their child and much pain has been involved. It’s hard to understand why they’ve had to endure such difficult circumstances and I’m sure they’ve asked “why” many times. 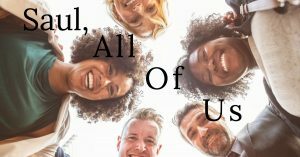 Just as each of us have at various points in life as well. My friends both serve and love God, having purposed to parent according to godly principles. And yet, for a season, their difficulties make it appear the enemy has prevailed. But, as my friend continually reminds, “the story is not over”. but in the One who has full authority over what is allowed to enter our lives. 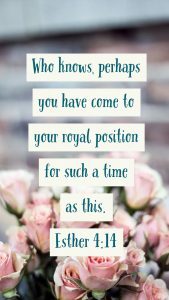 She views the pain of her present situation through the lens of God’s final authority and goodness, choosing to remain faithfully committed to Him, despite the weeds growing around her. 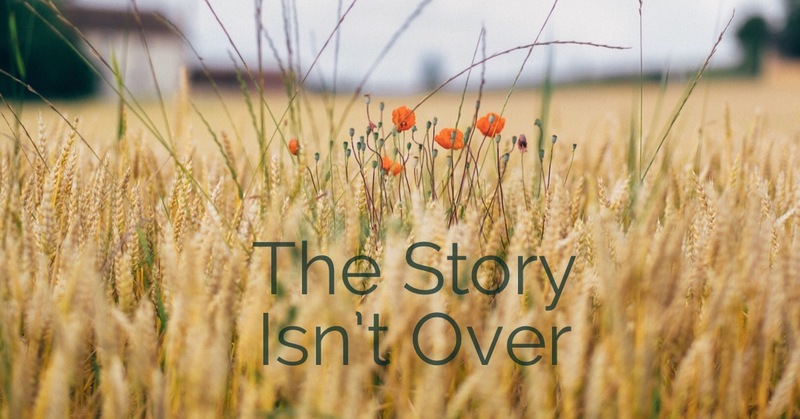 Jesus concludes His parable by reminding us that in the end, God wins. Evil will be bound and burned. God’s children will “shine like the sun in their Father’s kingdom”. What a beautiful hope we have! Thanks for joining us today as we journeyed into Screenshot Week Three! Don’t miss out on the discussion below – we’d love to hear your thoughts! Here’s a link to all past studies in Screenshot!